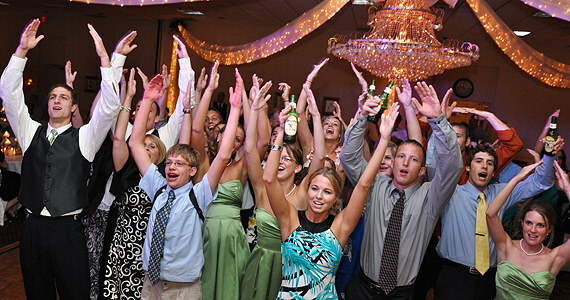 On Saturday June 12th 2010 we were at The Radisson Hotel in West Middlesex Pennsylvania. 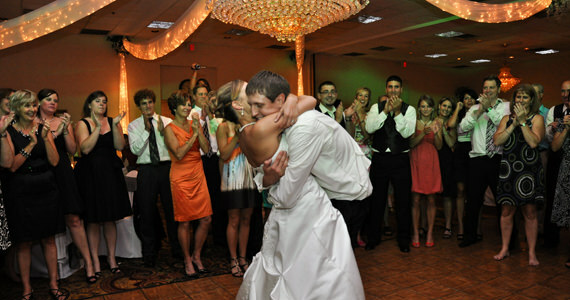 The event was a wedding reception for Drew and Kara Nedderman. 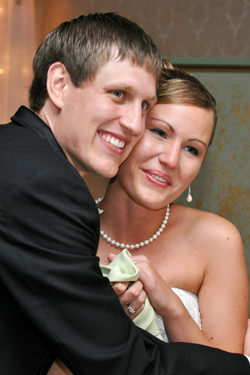 Drew and Kara were married at 3:30 PM at the Westminster College Chapel. Guests began arriving at The Radisson Hotel at 6:00 PM, were they enjoyed cocktails and appetizers. At 6:45 PM we formally introduced the bridal party and the bride & groom to “Joker and The Thief” by Wolfmother. After the introduction, toasts were given by the maid of honor, Lauren Meyer and best man, Jordan Nedderman. Dinner was prepared by the culinary staff at The Radisson Hotel and was served sit down style. After dinner, Drew and Kara cut their wedding cake to “How Sweet It Is” by James Taylor. We then invited the newlyweds to share in their first dance together as husband and wife to “Wonderful Tonight” by Eric Clapton. 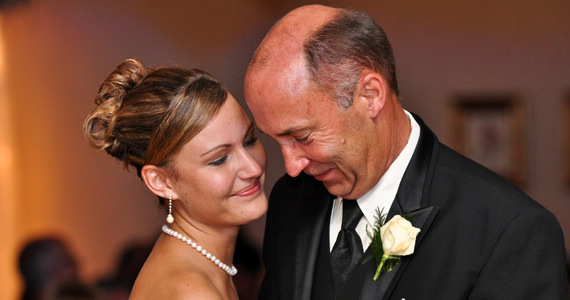 Kara then requested a special dance with her father, Mr. Jeffrey Meyer to “Little Miss Magic” by Jimmie Buffett. Next, Drew danced with his mother, Mrs. Deb Nedderman to “A Song For My Son” by Mikki Viereck. Throughout the reminder of the evening guests danced to music by Elton John, Journey, Jeff Healey Band, Billy Idol, Sean Kingston and more. 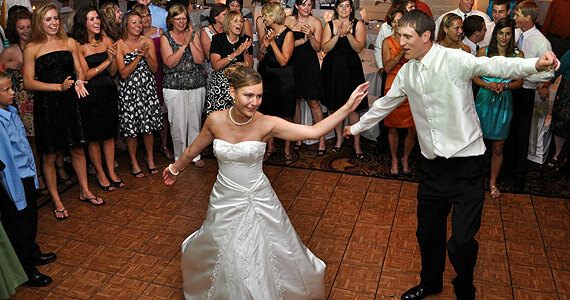 At 11:00 PM we invited Kara and Drew, along with their guests to share in the last dance of the evening to “Can You Feel The Love Tonight” by Elton John.